B2B companies in 2014 are spending more money on content and an increasing share of those dollars is going to video-based content. There are a wide variety of video storytelling techniques available that vary greatly in style and cost. For B2B companies that turn to us to help them convey a sophisticated brand position or complex concept in a high production video, we often partner with the award-winning Blue Marble Media. We interviewed Cal Miller, Vice President of Business Development for Blue Marble Media, to get his insights on how to get the best results when planning video content. Here is the inside scoop on what businesses need to know to create videos that sell and stay on budget. What are the most frequently asked questions about video from prospective clients? Timing – how quickly can I get this done? On average a video can take 4 to 6 weeks but there are several factors that influence the timeline. Many clients don’t understand the production process of creating a great video. We ask a lot of questions to determine the video’s objective and the desired response from viewers. Then we discuss video styles to choose one that best suits the clients’ topic and brand. Videos that use a lot of animation or motion graphics require extra time – (days or even weeks) . Every client is different but it’s important for them to be realistic and factor in their own internal approval processes as well. Once we figure out details about the project we can move on to the next most frequently asked question which is …. For a high quality, custom video that runs between 60 seconds and 3 minutes, the answer is anywhere from $15,000 to $45,000, or more. Pricing depends on how much creative development support will be required for the project, what type of visual techniques will be used, and video length. Sometimes we are handed a blank piece of paper and links to white papers on a client site. Other times the client comes with a detailed script. We are happy to work with companies on either basis, but we do encourage clients to have at least a rough outline of what message the video should convey. It gives us a starting point and it helps keep costs down. What are other ways companies can save money on video production? Plan ahead. If a job normally takes 4 to 6 weeks and you want it in 3, that can mean potential overtime for our staff in order to meet the deadline. Look inside your own company to find free talent. Tapping your internal "Thought Leaders" for certain types of videos can be a great resource. And employees can also be good for non-speaking roles. But don't scrimp. When needed, professional actors and voice talent make a real difference. Take advantage of free or low cost music options. Sometimes it is worth spending the money for the rights to a well-known song or to have an original song produced, but if it is not a critical component of your video, use the less expensive stock music option. Follow the production schedule to avoid delays. We try to make it clear, especially to customers who are not experienced at video creation, that we meet our deadlines and we need you to meet them, too. Our project timeline includes windows for input and creative give-and-take. But companies that don’t meet deadlines or make a lot of changes risk additional charges because our production staff is usually booked in advance for other projects. Following the production schedule allows us to keep our promise to you and to other clients that your project will start and finish on time. Follow the branding bible. If you are the person in charge of managing the video process, make sure you understand all the branding requirements for your company. Large organizations often have very definitive brand guidelines. Anyone who strays from that is going to find themselves in trouble, and making corrections after the fact can be expensive! Get Legal in early. Some companies have strict approval policies that need to be followed. Do clients balk at the prices? Companies that understand the value of video and have a distribution plan to use it through multiple channels don’t hesitate to make the investment. A large portion of our business is repeat customers that have seen the value first-hand of thoughtfully crafted and well-produced video content. What are some current trends in video production? A strong branding visual. Not just a cool or unique one. You clearly know that it’s an ATT message or General Electric message coming your way. 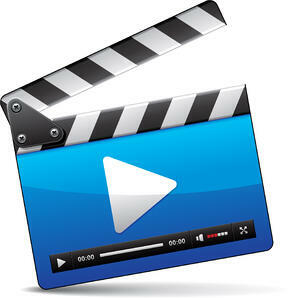 Videos are becoming more clear and concise because of the short attention span of the audience. 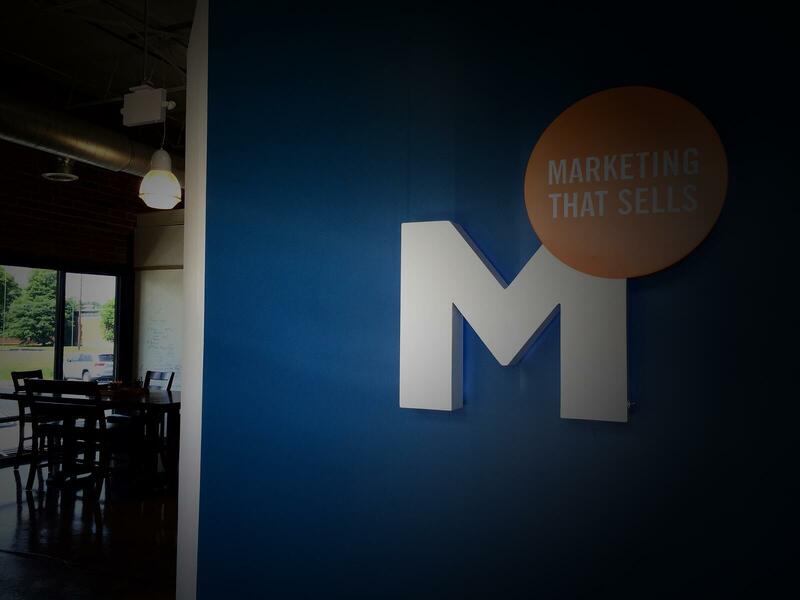 Companies are getting away from telling the whole story, and instead are providing just enough information to take prospects to the next level where the appropriate sales or marketing people can follow-up with them. This means that there are far less 3 or 4 minute videos being produced. A company may choose to produce one 90 second video and several shorter ones. Graphically, we are seeing a trend to use a blending of techniques - unique text or motion graphics to work in conjunction with traditionally shot video, that may include interviews, location shoots, and voice-over. All elements are chosen purposefully to support the key message being conveyed. Companies are using videos for specific sales and marketing objectives rather than just a corporate overview. The idea is to prompt people to take a specific action rather than convey general information. What is one of the biggest challenges you face with B2B video production? On the front end, it’s getting management agreement on the purpose and desired response of the video. Then on the back end, it’s getting that final edit and sign-off completed. With larger corporate clients, we’re often dealing with an advertising VP or VP of Communications on the project. But three days before the video is finalized, a CMO or other senior execs might say …we need to add this or change that. To accommodate an increasingly mobile workforce and to get ahead of potential workflow issues, we created an online edit viewing system for the review and approval process. The system allows approved people access to the video while it is in production. They just need to type an email with suggestions or input in the edit frame. Even before you are ready to book a video, spend some time online looking at videos in your industry and beyond. Identify videos you feel are impactful and take note of styles and looks that are memorable. This kind of research provides great fuel for the creative conversation about your next video. Thank you to Cal Miller at Blue Marble Media for sharing his insights and experience about producing B2B videos! Interested in continuing the conversation about video? Our own Anne Marsden presented at the Digital Summit 2014 and shared strategies on creating effective B2B videos.